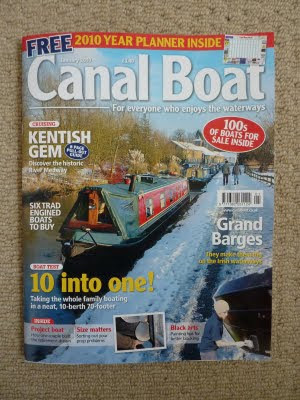 The January edition of Canal Boat is out, with a traditionally snowy picture on the cover. Inside is my review of a ten-berth OwnerShips boat, built as a bespoke boat for a large family. Not long after the pictures were taken, we all had to resort to our waterproofs as a torrential shower came over. From reading the Ownership forum I see that lots of the owners have had problems with the thrusters. Has the owner of this boat had the same problems?